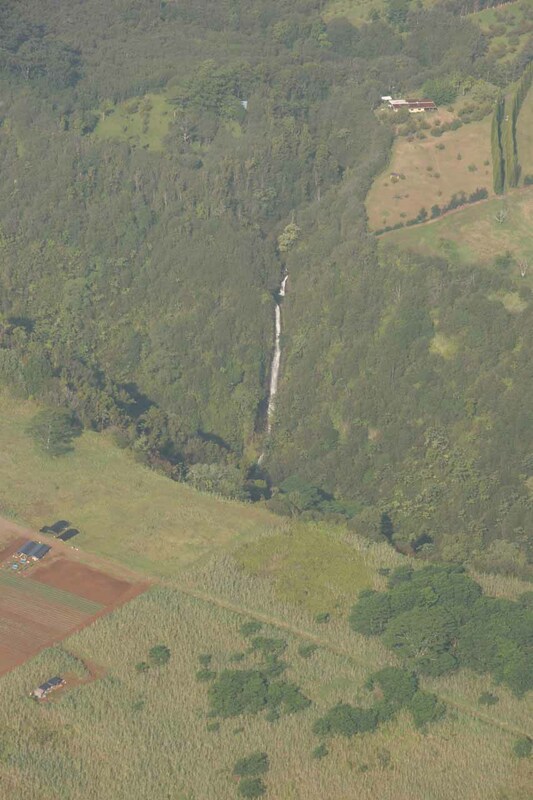 The vast majority of these waterfalls are concentrated on the windward sides of both the Kohala Mountains as well as Mauna Kea. 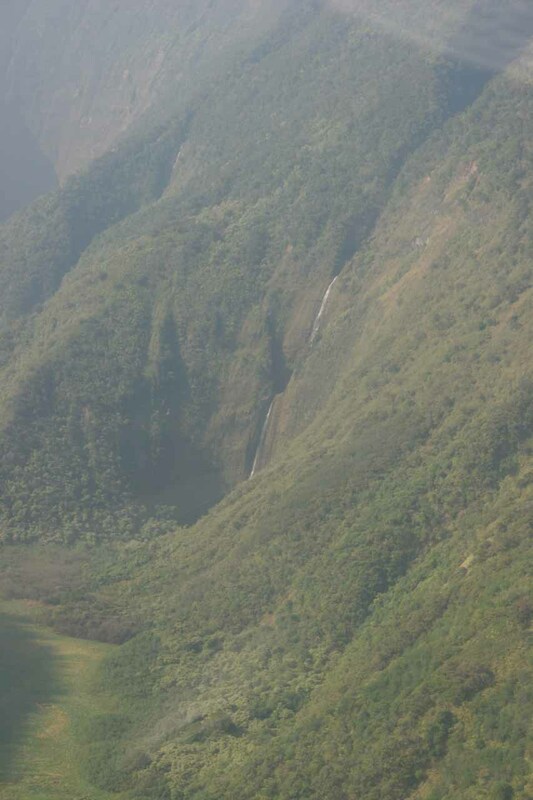 Most of these are either inaccessible or private. 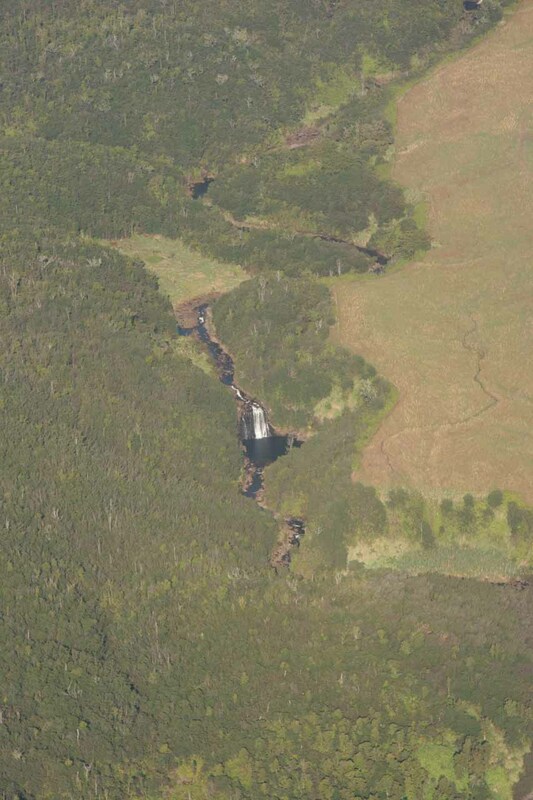 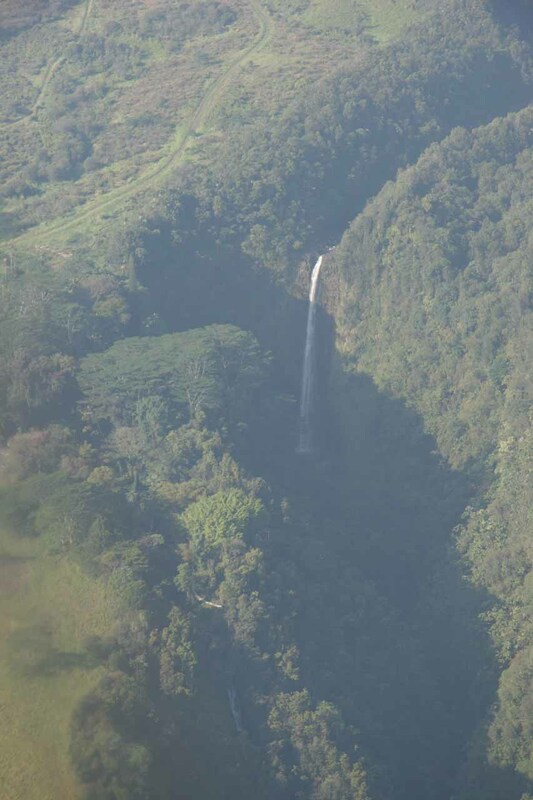 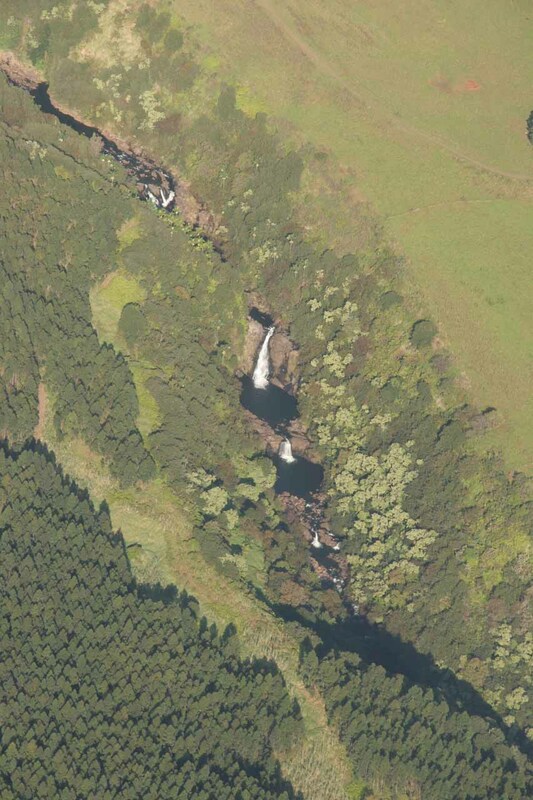 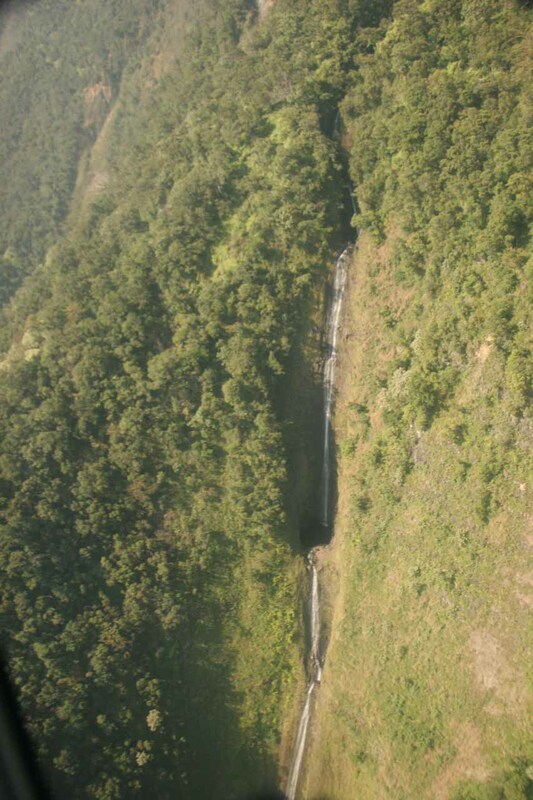 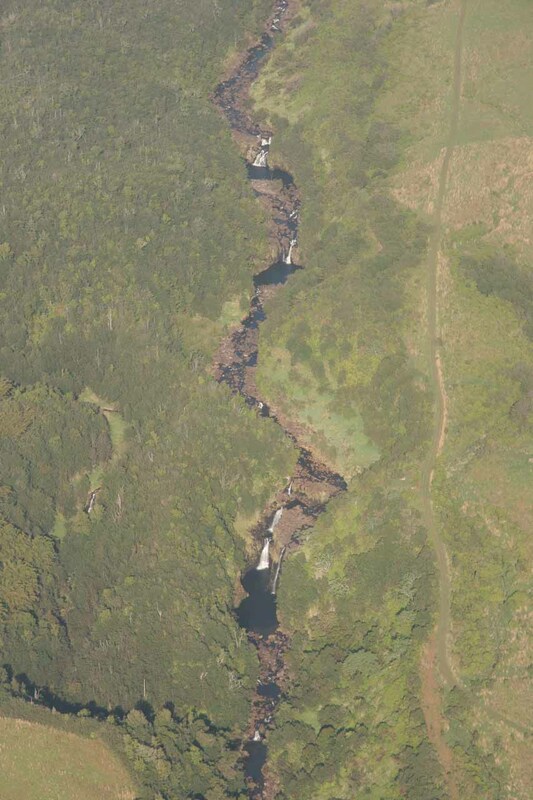 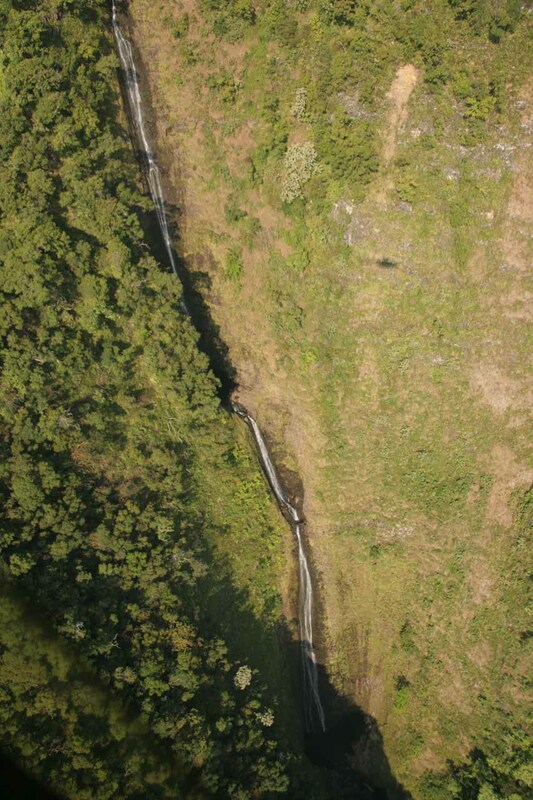 Thus, I created this page to showcase the waterfalls seen on our lone successful helicopter tour. 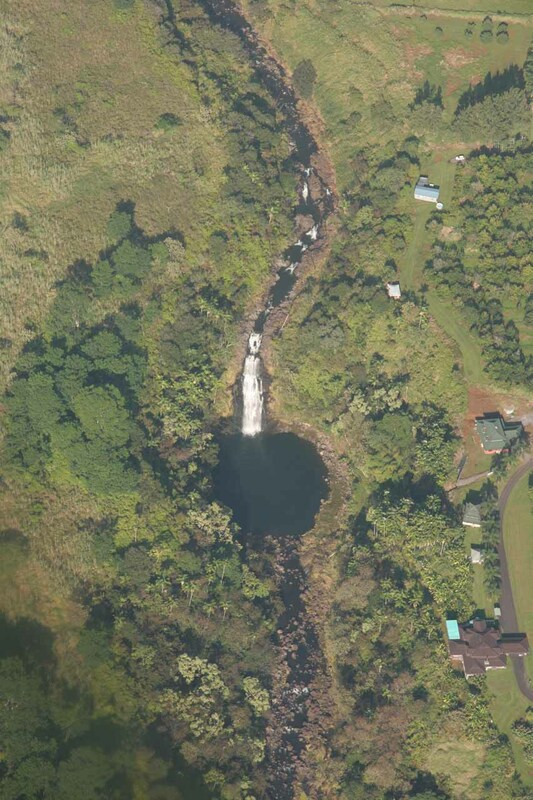 One thing I want to mention on this page is Kapoloa Falls. 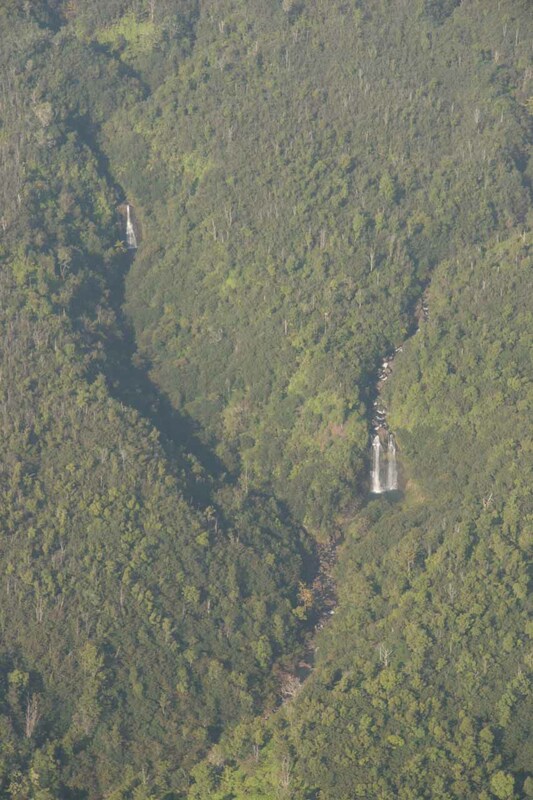 This was the same waterfall that Samantha Brown featured on her show, which Julie and I chanced upon while channel surfing one day. 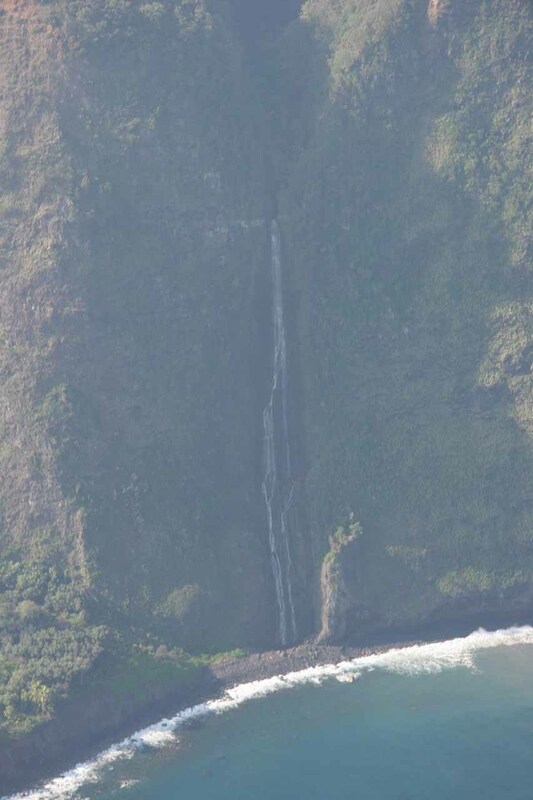 Unfortunately, the Kona Earthquake of October 2006 caused extensive damage to the Kohala Ditch Trail deep into Pololu Valley thereby rendering this waterfall inaccessible to the general public as guided tours (which were required because the trail passed through private land) were no longer offered. 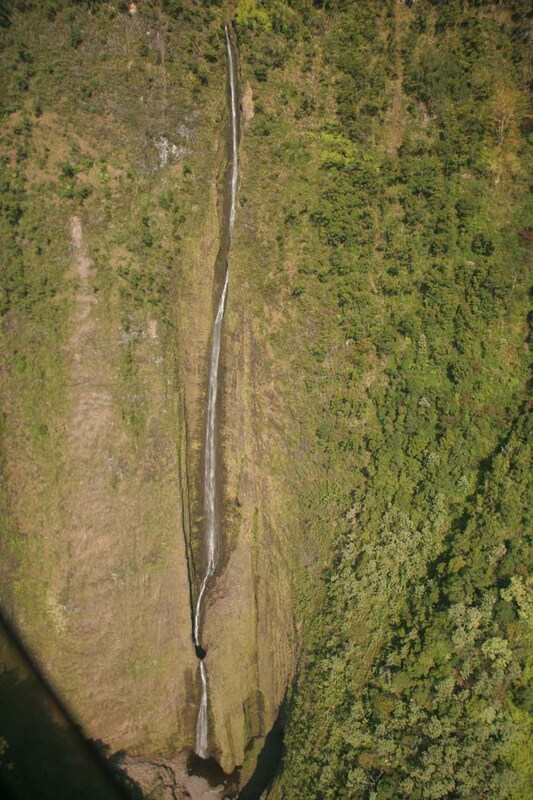 So the only way to see this waterfall would be by helicopter, and that’s why I decided to say something about it on this page. 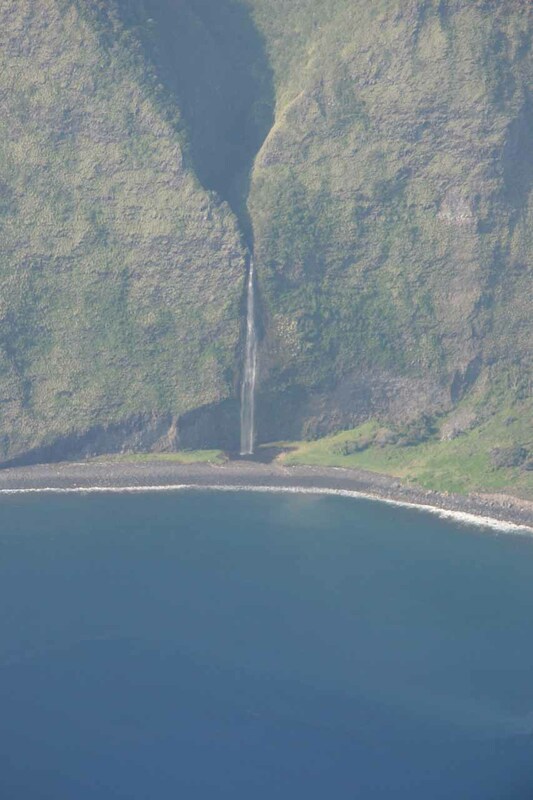 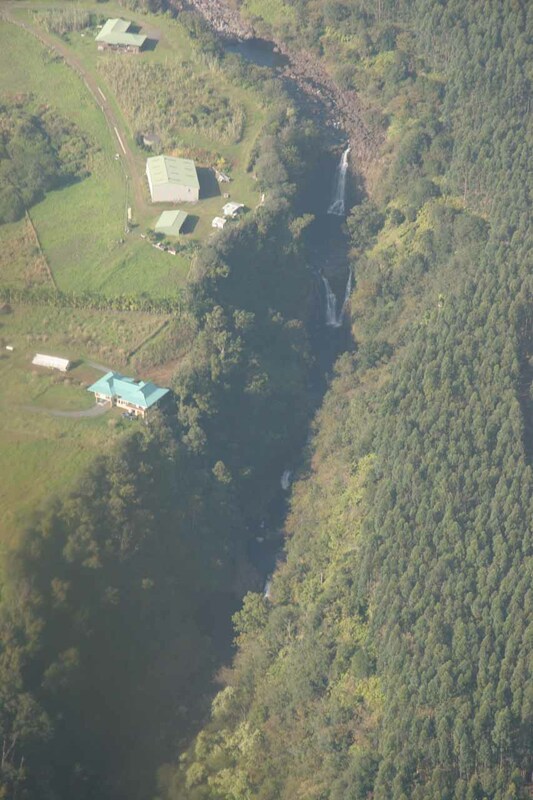 In our particular 2008 tour, I had asked our pilot if he was willing to fly into the back of Pololu Valley to see this falls (which he verbally said yes), but as the tour went on, he ended up forgetting about it so we were never able to photograph the falls. 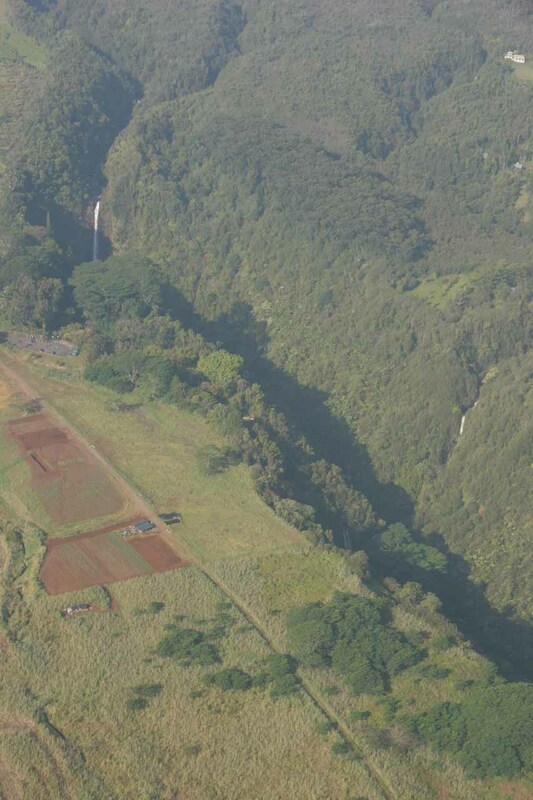 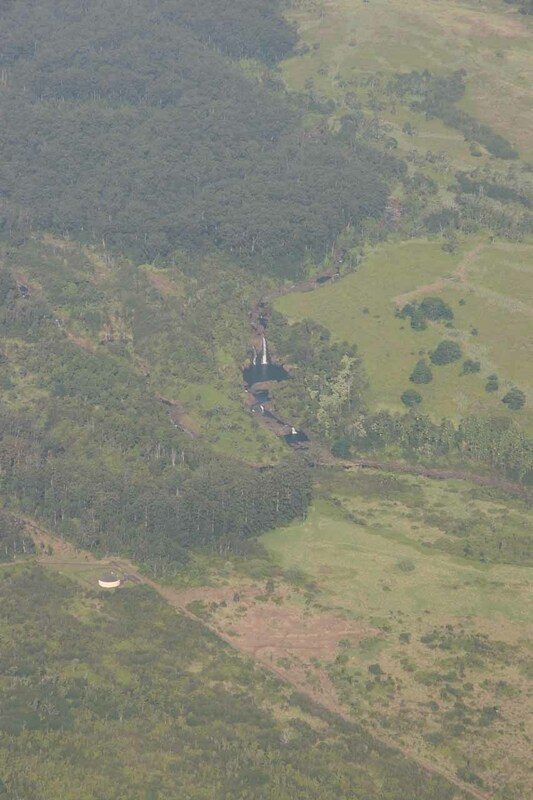 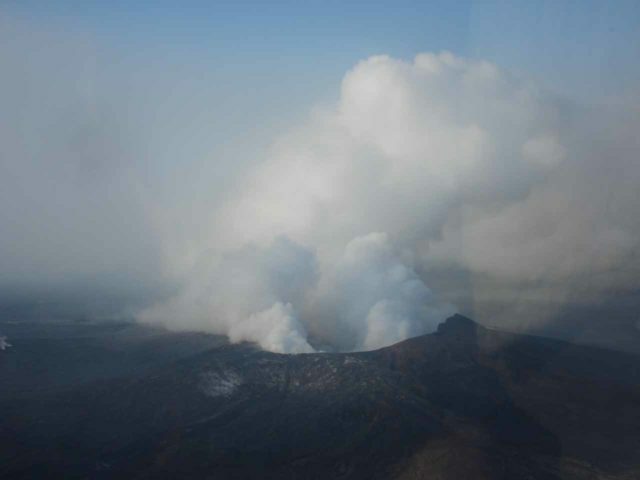 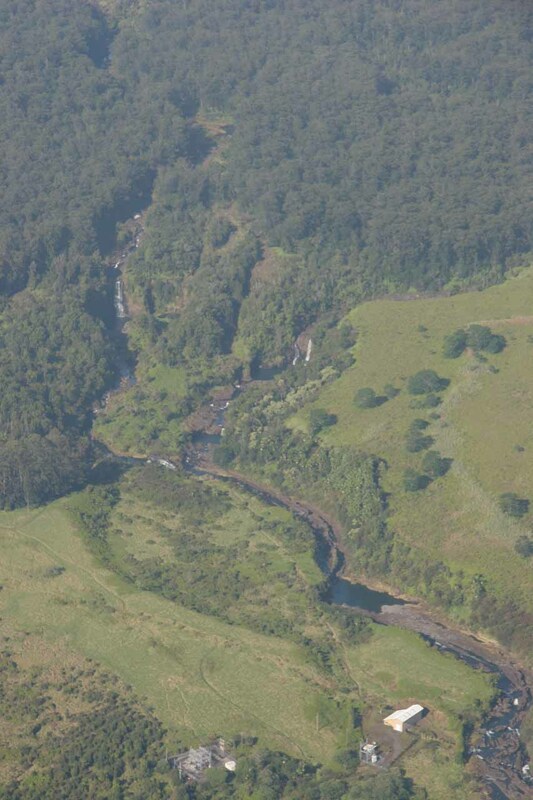 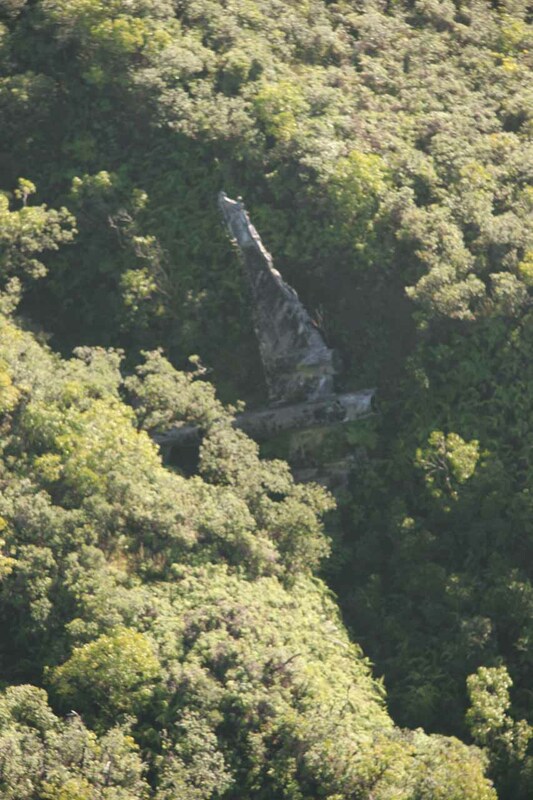 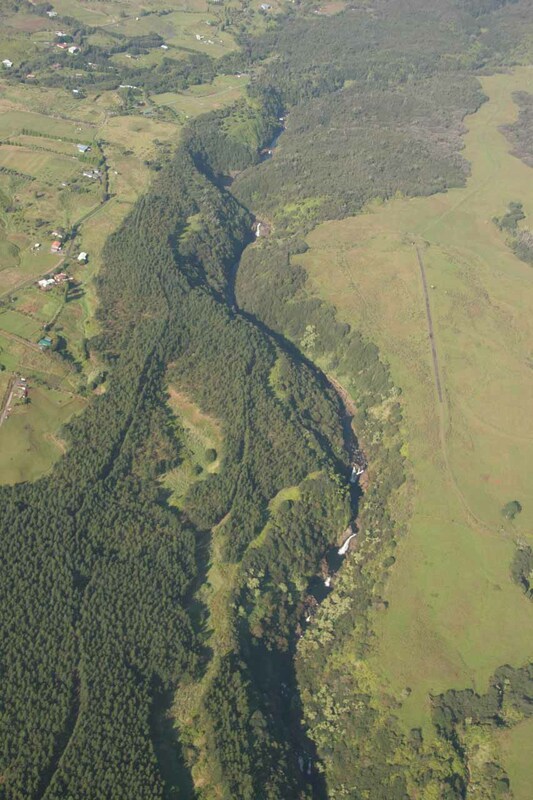 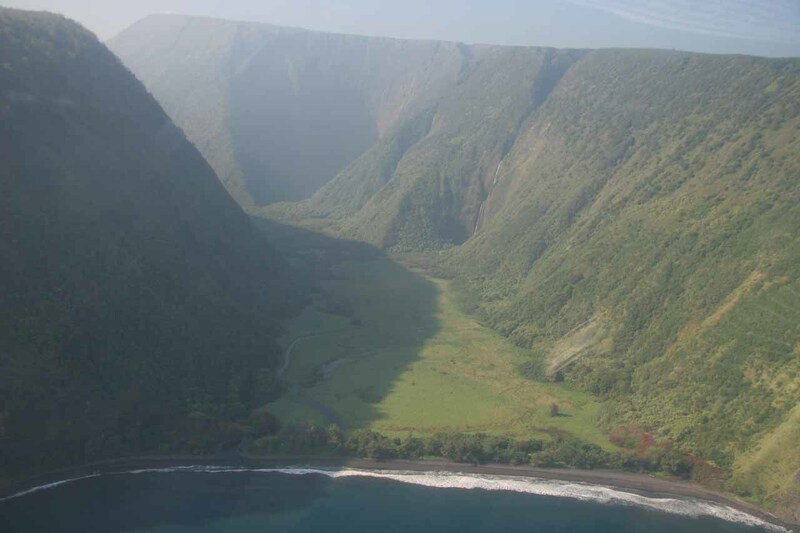 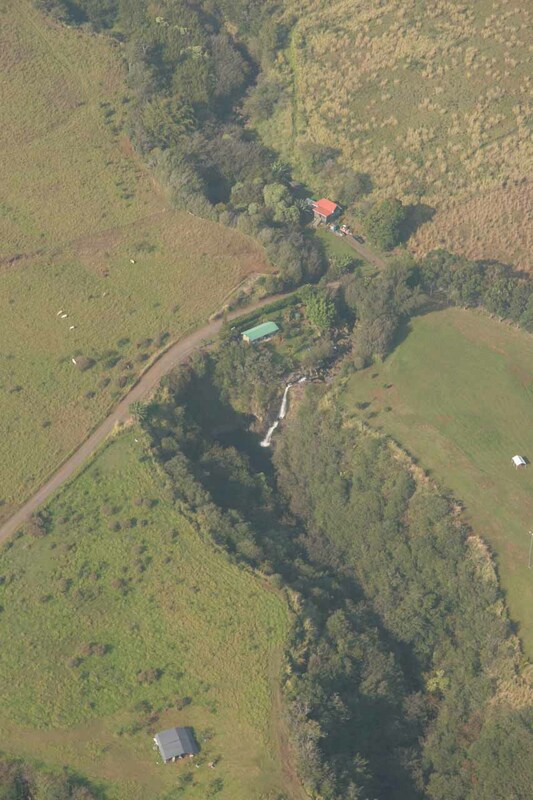 We’ve made numerous attempts at doing a chopper ride on the Big Island, but we were only successful once. 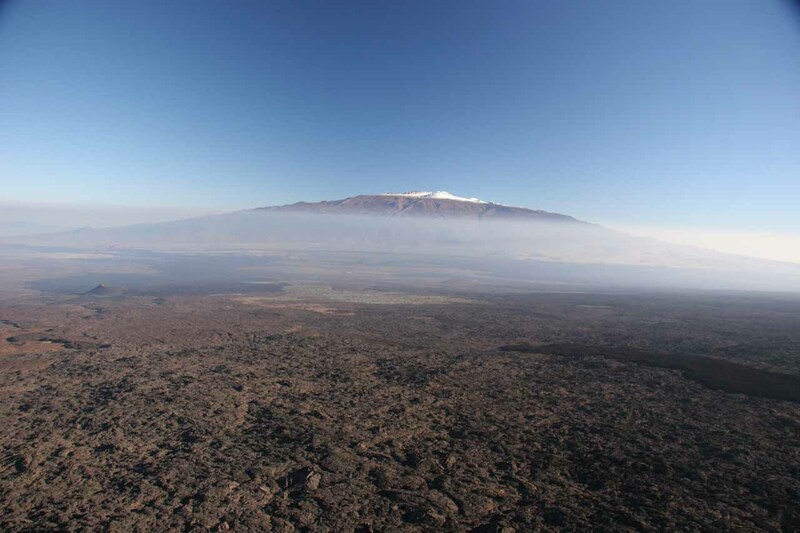 So we can appreciate how much weather really affects this kind of tour. 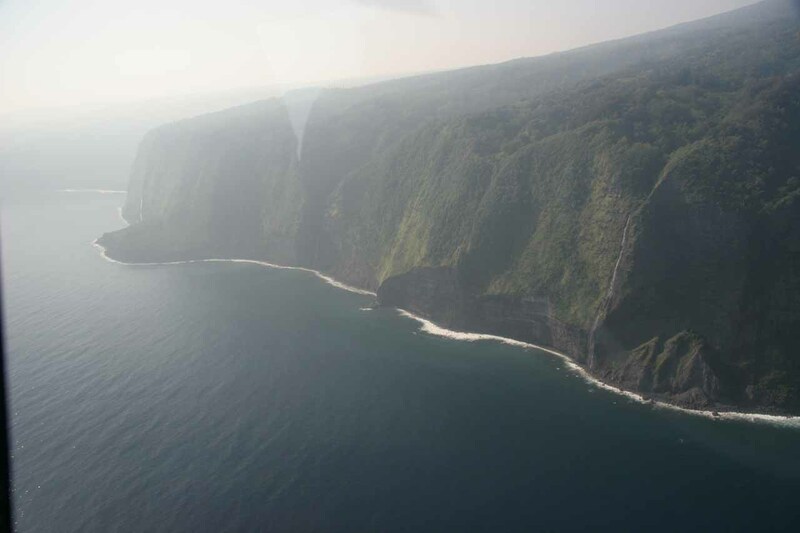 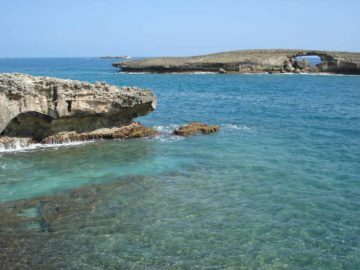 Helicopter tour companies are more spread out on this island than on the other islands. 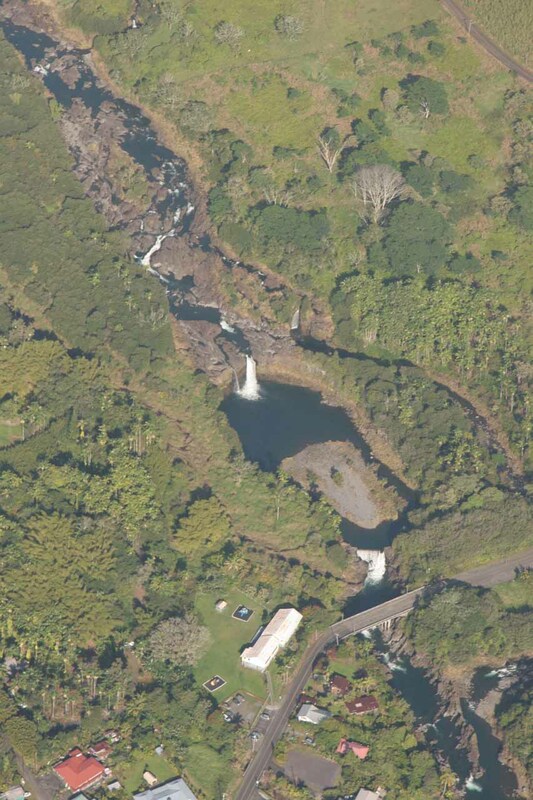 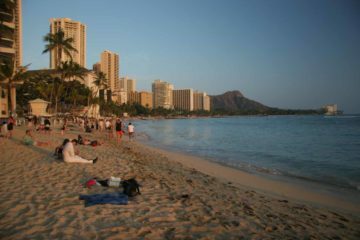 We know that there are a couple near Waikoloa (I recalled Blue Hawaiian had one helipad there while Tropical had one near a resort in Waikoloa) as well as more near the Kona Airport. 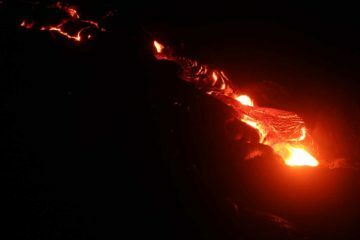 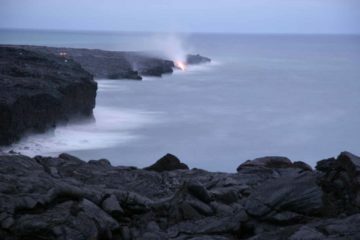 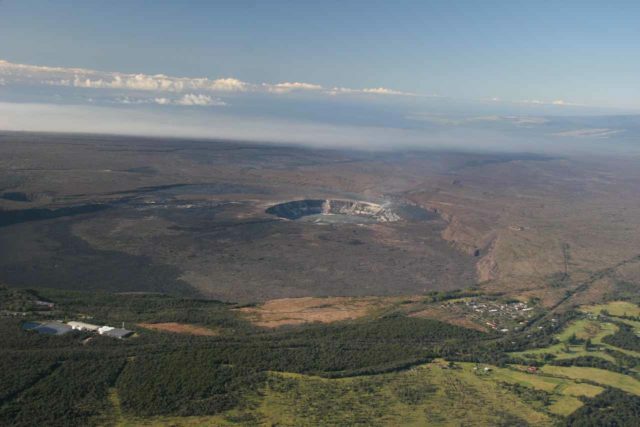 There are more tour companies leaving from Hilo, which would be the preferred base since choppers wouldn’t have to fly as far to visit both the lava and the Kohala Mountains. 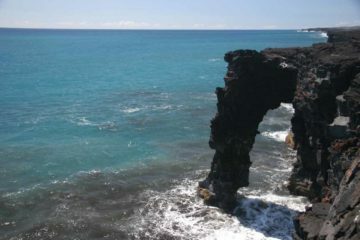 I know I’m being a bit vague here as the directions alone to each of the tour companies would be a huge undertaking. 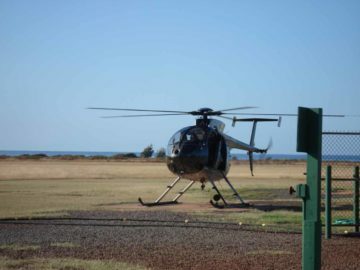 So I’ll just punt you over to the chopper companies of your choice as they’ll provide you with directions when you book.